We’ve researched the best safety bests for the big and tall person in larger sizes of XXL 3XL 4XL 5XL and 6XL. Comfortable and affordable, and most importantly…designed to help keep you safe while on the job. 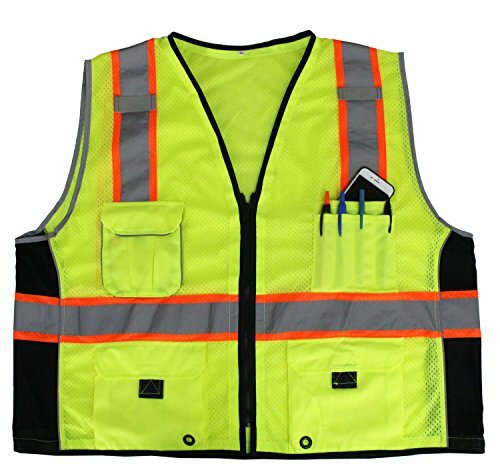 While most think that safety vests are for roadside construction workers and emergency responders only, they also serve a purpose in other work areas. 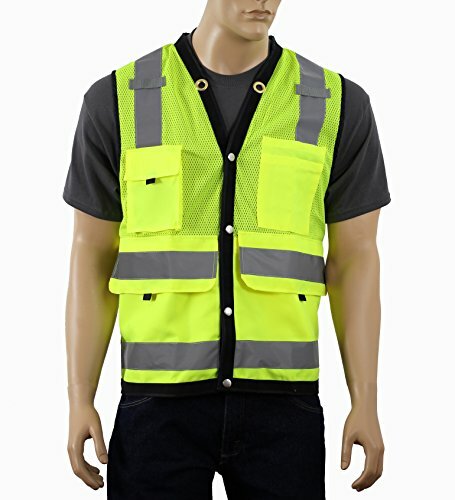 Any work areas where oncoming vehicles or equipment could potentially harm or hit a worker calls for the use of a high visibility safety vest, such as a parking lot attendant. 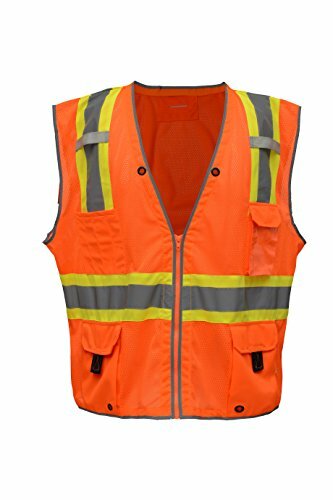 In order to stay within OSHA requirements, workers need to wear specific high visibility safety vests. 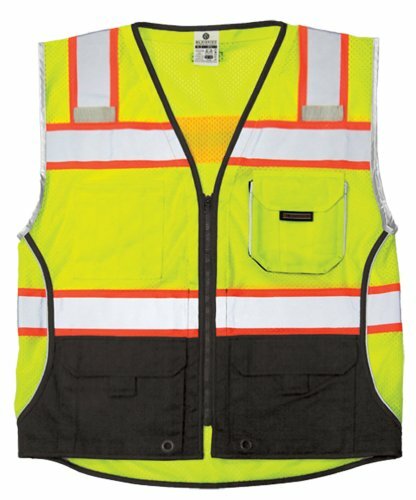 Specific vests are also now a requirement by the Federal Highway Administration (FHWA). 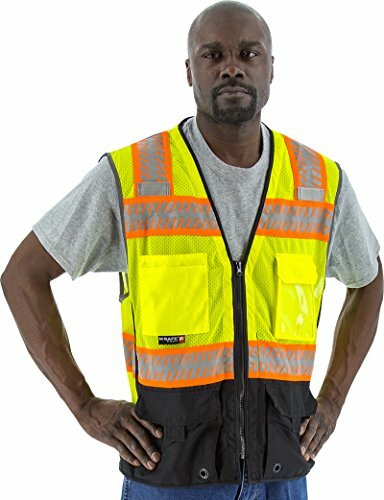 There are three classes of safety vests and what you need to know. Class I garments worn are intended for occupational activities where the worker has ample separation from approaching traffic. Vehicles and moving equipment used in these areas should not exceed speeds of 25 mph, and the worker should be in a position to give his full attention to all oncoming traffic. 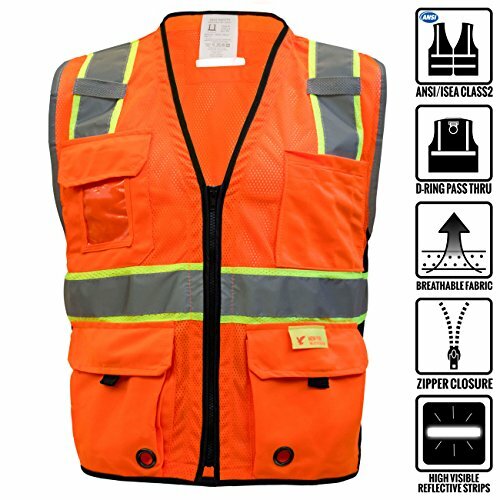 Class I safety vests are ideal for occupations such as parking attendants and shopping cart retrievers. 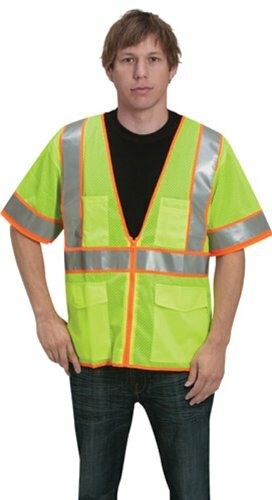 Class II garments worn are for workers who need greater visibility due to these factors: potential bad weather, vehicle or equipment speeds that exceed 25 mph, tasks that take attention away from traffic and/or activities that take place close to traffic. 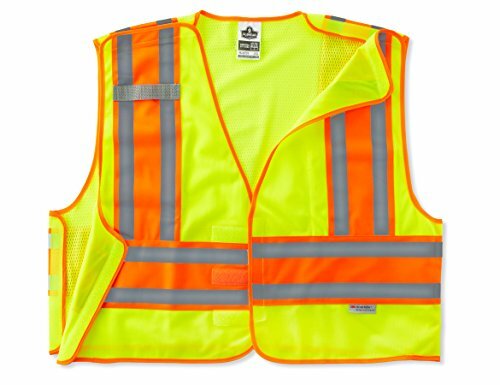 Class II vests provide protection for occupations that include crossing guard and airport ground crew. Class III garments offer the highest level of visibility and have sleeves that provide protection to the arms as well as the torso. 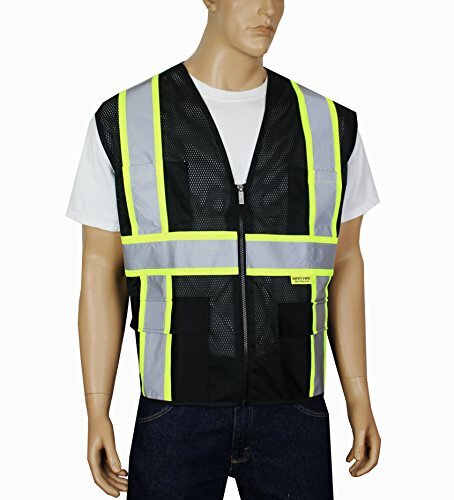 These vests are intended for situations where the worker has a high task load and is exposed to high speeds and/or limited sight distances. 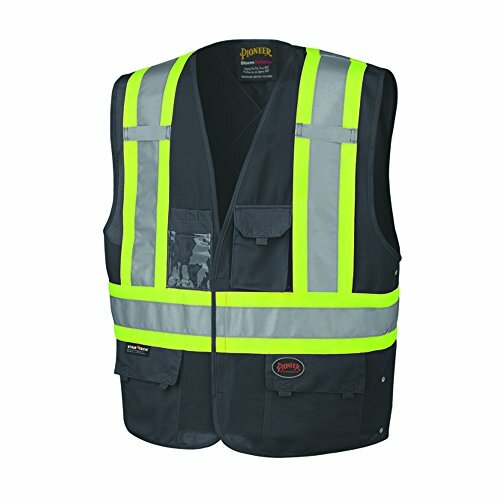 A Class III safety vest provides visibility through the full range of body motions from a distance of at least 1280 feet. 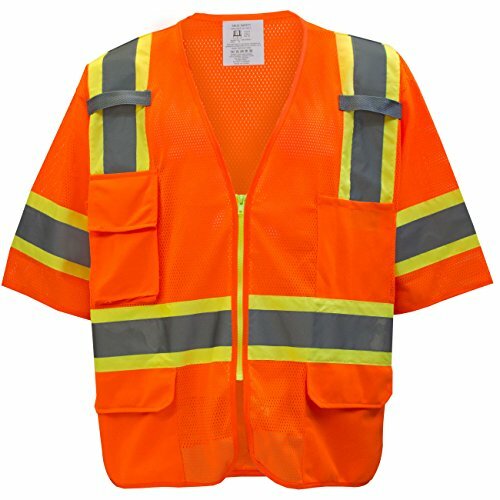 Emergency responders, road construction workers and survey crews are some of the individuals that require Class III safety clothing. 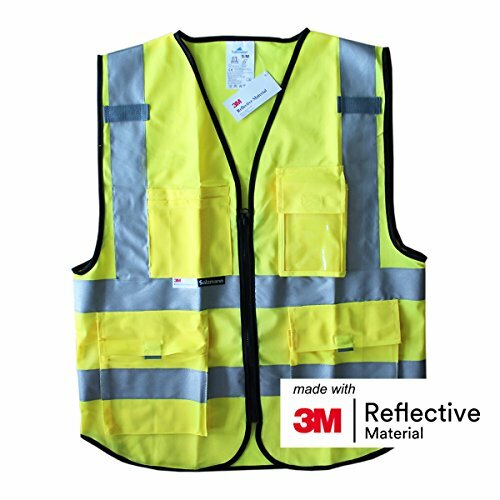 Check out the 3XL safety vests -Yellow, lime green or black. Sleeveless, short sleeve or long sleeve. With pockets or without pockets. Lots to choose from!